Stefan Bosse studied physics at the University of Bremen. He received a PhD/doctoral degree (Dr. rer. nat.) in physics in the year 2002 (topic "Advanced Optical Laser Measuring Techniques") at the University of Bremen, and the post-doctoral degree (Habilitation) and the Venia Legendi in Computer Science in the year 2016 at the University of Bremen with his habilitation (postdoctoral degree) "Unified Distributed Sensor and Environmental Information Processing with Multi-Agent Systems: Models, Platforms, and Technological Aspects". 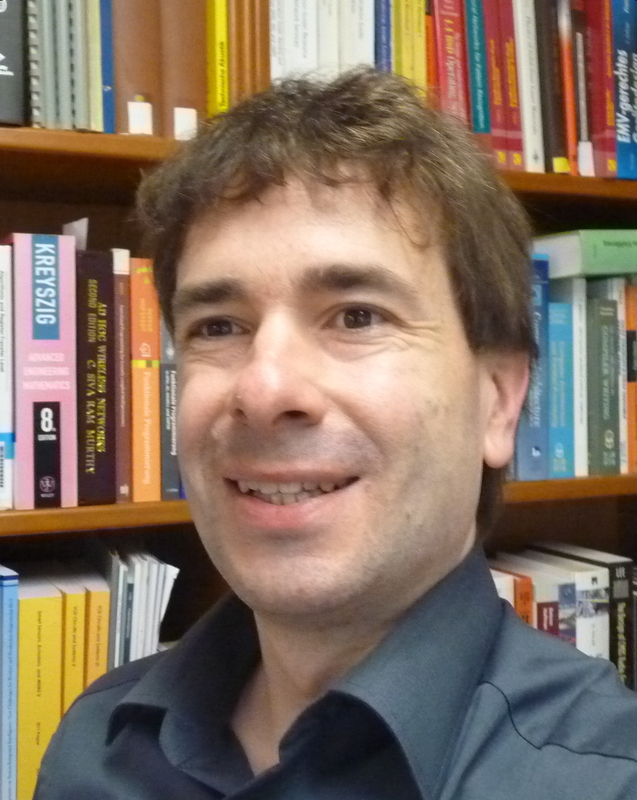 Since 2017 he is teaching and researching as a Privatdozent at the University of Bremen, Department of Computer Science, and since 2018 he is an interim professor at the University of Koblenz-Landau, Faculty Computer Science, Institute of Software Technologies. At the University of Bremen and University Koblenz-Landau he teaches several courses in fundamental computer science, functional programming, and in selected advanced topics covering the design and programming of massive parallel and distributed systems, multi-agents systems and agent-based simulation, high-level synthesis of complex digital logic data processing systems, and material-integrated sensing systems with a high interdisciplinary background. His main research area is distributed artificial intelligence in general, and in particular information processing in massive parallel and distributed systems using agent-based approaches combined with machine learning, and agent-based simulation. A broad range of fields of application and domains are addressed: Material Science, Materials Informatics, Smart Materials, IoT, Production Engineering, Social Science, Crowd Sensing, Geo Science. He conducted projects in the internationally recognized ISIS Scientific Centre for Intelligent Sensorial Materials pushing interdisciplinary research closing the gap between technology and computer science, finally joining the ISIS council and publishing an internationally well regarded handbook on this topic. He published about 100 journal and conference papers and acts as a reviewer and a guest editor for several international journals and is a member of a broad range of international conference programme and organizing committees.